Humbolt Telephone Company wishes to inform the public of the availability of its telephone services, which are offered in the rural portions of Humboldt County and the Midas area of Elko County. Humboldt Telephone’s local service area includes the exchanges of Denio (prefix 775/941), Desert Valley (775/859), McDermitt (775/532), Midas (775/529), Orovada (775/272), Paradise Valley (775/578), and Quinn, Oregon (541/522). $32.00 plus $6.50 federal end user charge for single-line business service. $32.25 plus $6.50 federal end user charge for single-line business service. These rates include unlimited local calling to all 7 HTC prefixes within the Humboldt Telephone Company local service area. The local service offering includes single party touchtone service; access to 911 services, operator services, and directory assistance; and access to available interexchange carriers. A lifeline service discount on the recurring monthly service rates is available for qualified households. Additional Fees and Taxes may apply. For information on our services, including lifeline eligibility, or to place an order for service, contact the Humboldt Telephone Company business office at: (800) 847-5302. The following optional calling features are available where our equipment will support their use. Consult a customer service representative to see if these features are available in your area and to obtain pricing information. Some optional calling features are not compatible with other calling features. Uses special signaling between telephone company equipment to provide the identity of the telephone that a person is using to place a call to you. The calling identity provided will only display the associated telephone number of the originating phone. You will need to purchase a caller ID equipped telephone or an add-on caller ID display unit to use caller ID. Caller ID service includes the Automatic Callback and Automatic Recall features. If you also have the Call Waiting feature installed on the same line, Caller ID on Call Waiting will be added to preserve the Caller ID function on your line. Allows you to block your calling identity on an outgoing call. Caller ID Blocking will automatically be installed on all customer telephone lines. Caller ID is not a prerequisite. Per-Call Blocking allows you to block your calling identity only on selected calls by dialing a blocking code prior to placing your call. Line Blocking blocks your calling identity on all outgoing calls except for selected calls where you dial an un-blocking code. Included with Caller ID. Automatic Callback calls the last phone number you dialed from your phone. If that number is busy, our equipment monitors the status of the phone you called for up to 30 minutes. When both your phone and the phone you called are idle, your phone rings and displays the number to be called on your caller ID display. If you answer, your call will be placed. If you do not answer, the call is not placed. Included with caller ID. Automatic Recall calls back the last telephone that called you. If that number is busy, our equipment monitors the status of the phone you called for up to 30 minutes. When both your phone and the phone you called are idle, your phone rings and displays the number to be called on your caller ID display. If you answer, your call will be placed. If you do not answer, the call is not placed. If you change your number or voluntarily disconnect your phone, we can provide an announcement to notify callers of your new number for up to 3 months after the change. In order to set up the referral, you must give us a new telephone number where callers can reach you prior to the number change or disconnection. Selective Call Screening is a powerful tool that lets you customize how you receive incoming calls on your phone. Telemarketers and callers blocking their identity will hear a recorded message telling them that the number they have reached does not accept calls from telemarketers or private callers. Telemarketers are instructed to hang up and add your number to their do not call list. Persons that block their calling identity will be given the option to dial a 1 to reveal their calling identity to you and allow their call to complete. You will also be able to add callers to the “blocked” caller list. Callers that are on the “blocked” list will receive a message stating that the number they have reached does not accept calls from the phone they are calling from. These screening features may be turned on and off by dialing the appropriate activation and deactivation codes from your phone. Call Waiting allows you to answer a second call while you are using your telephone. Call forwarding lets you transfer your incoming calls to any telephone that you can dial in the USA. NOTE: If you forward your calls to a telephone that is long-distance from your phone, long-distance charges will apply to all forwarded calls. Call Forward Busy/Don’t Answer acts like two separate features. You can set your phone to forward when your phone is busy, you can set your phone to forward when you do not answer it, or you can set both forward options to work at the same time. Speed Calling provides one-digit codes for up to 8 of the telephone numbers you call most. You can dial both local and long-distance calls with Speed Calling. This feature allows you to have one telephone number for yourself and a separate telephone number for other family members by associating a second separate telephone number with your primary line. The distinctive ring phone number has a different ringing pattern assigned to it so that you can easily tell whether the call was placed to your primary line or the family member’s distinctive ring line. Call waiting, speed calling, three way calling, and selective call screening, may separately be installed as options on both the primary line and a distinctive ringing line. With call waiting on a distinctive ringing line, a distinct call waiting tone will identify which line is receiving the call while you are using your primary line. You may call our office to set up a scheduled conference call. Between 3 and 8 persons can call the conference bridge and participate in the call at one time. The person that orders the conference is known as the conference administrator. The conference administrator will be given the bridge number and a unique pass code to be given to the conference participants. A participant will call the conference bridge number and be prompted for a pass code. If the person enters a correct pass code, they will be placed in the conference. Participants that call the conference bridge before the administrator has called in will be placed on hold until the administrator calls. When participants join or exit the conference, a tone will sound as a notification to other participants. Touchtone Dialing is available as an option in some locations. Offered free of charge to lifeline customers, Non-lifeline customers may be charged a fee. Blocking of Calls to 900 numbers, third party calls and collect calls are available free of charge to all customers. Our customer service experts will be happy to assist you in selecting the services and features that meet your needs. The address where service will be installed. If there is no known address for the service location, please provide as complete a legal description for the property as possible. The address where you will receive billing. If service has been provided to that address before please provide us the prior telephone number. Which persons are authorized to call us to discuss the account or make changes to it. Whether you are eligible for lifeline discounts. Will the telephone number be published and listed or not. Which optional calling features you want on the line. 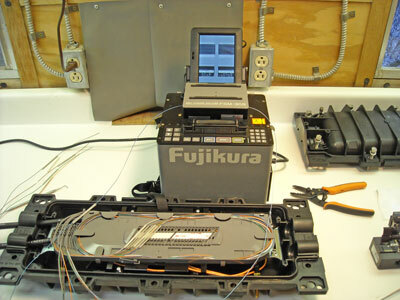 If you would like to subscribe to our inside wire maintenance plan. Which long distance carriers you will select for the account. Letter of credit or other credit information. Whether you will hire us to install jacks or wiring in your home. You may need to provide other information in addition to the above. Please do not attempt to place an order by email or with our repair technicians. In order to assure that your order is worked efficiently and correctly please contact our customer service department at the appropriate 800 number above. You must be a responsible adult over the age of 18 to qualify for telephone service. You must apply for telephone service under your legal name. Applying for service under a false name or someone else's name may be a crime. We can provide language translation services if necessary. We do not provide service in the Treasure Valley. If you cannot provide proof of acceptable credit, you may be required to pay a deposit prior to service. You can add features and make changes to your account after the initial install, but you will have to pay additional non-recurring fees for each additional order submitted. Typically, there is no non-recurring fee for disconnecting service or some features. If a site visit is required for installation of service, our repairman will not enter your household unless a responsible adult is on premise to supervise the visit. Do not leave a key or give our repairman a key to your house. You are responsible for installation and operation of the jacks and wiring in your home. You can take care of them yourself, hire a third party to handle them, or you may hire us.